Continuing our series on how to make your own banh mi sandwiches, is how to make homemade mayonnaise. The mayonnaise spread in Vietnamese banh mi is simply made from egg yolk, oil, salt, and lemon. To fancy things up, you can add optional ingredients such as garlic, sriracha, turmeric/curry, or whatever spices you think might tastes good. You can make it using a whisk, hand held mixer or blender. Bo means butter, but for Vietnamese it describes the mayo spread that is used for banh mi because it's so luscious and creamy like real butter. For best results use the freshest farm egg yolk you can get your hands on. Unlike traditional mayo recipes, the Vietnamese skips the lemon so it keeps the color of the mixture more yellow. 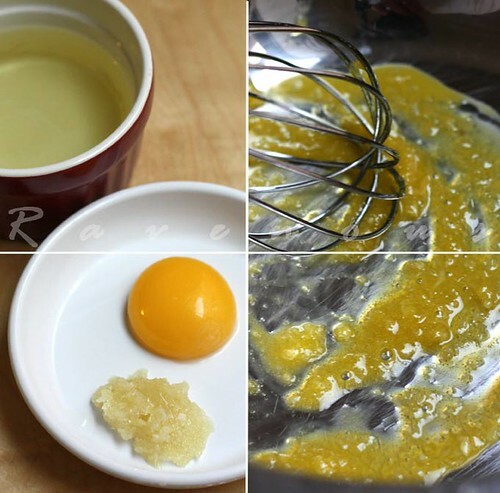 In a large mixing bowl whisk egg yolk, salt with about 2 tbs of oil. Whisk until ingredients are well emusifield. At this point, slowly drizzle remaining oil and continue to whisk until mixture becomes creamy. Alternatively, you can place all the ingredients in a blender and slowly drizzle in the oil while blending until creamy. Make final adjustment with salt if necessary. For a different twist and other uses besides banh mi, you can add seasonings such as garlic, mustard, Sriracha, chipotle, roasted red peppers, Creole seasoning, ginger, sesame oil…the flavors are endless. 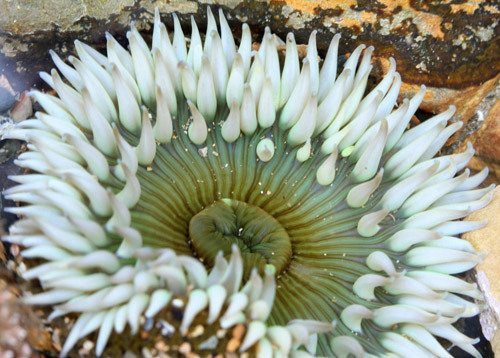 We recently went wading in the tide pools at Abalone Cove Park in Palos Verdes, CA. Each little pool was teeming with sea life–a living aquarium right before our eyes. Stay tune for the last post on our how to make your own banh mi series, the very popular banh mi thit nuong. This looks so good and your photos are getting bettet by the day! Oh I received the pack of cards. I was so touched. Thanks! 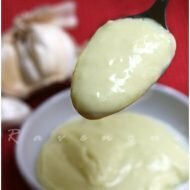 there is nothing like home made mayonnaise! I love your picture, it shows how luscious it is! I add a little mustard when I make it! Anh: Thank you. Hope you enjoy using the x-ray floral greeting cards. Joy: adding mustard is a great idea! I am not a fan of store bought mayo..so im defenitely going to try this. I love the idea of adding sriracha or curry to this! Veggie belly: it is really to make your own especially if you're making a bunch. Well this comment is almost a year too late, but oh well. I suppose the "chunky" texture and meaty flavor of banh mi mayo comes from the fact that it is usually spread right on top or below the Viet pate (somewhat chunky) and sitting next to other cuts of meat, flavor infusion? Years ago my family used to run a busy Viet deli in SoCal, and banh mi was our specialty. We made our own mayo all the time. The only differences from this recipe is that we didn't waste anything by using both yolk & white and "stretched" the recipe by using much more oil, which actually makes the mayo a lot stiffer. But the mayo itself wasn't chunky at all. CT: thanks for the input..any tips on making vietnamese baguettes? To be honest, I was still a kid back when my family ran the deli, and we hired a bread baker. But from what I do know, you would need a special steam oven (oven w/ a steam system) to create that shiny, crunchy, golden crust; otherwise, the crust will have a very dull look with white splotches. We also used the perforated baguette pans as seen in the recipe above (easily found on Amazon). On the downside, this conditioner will prevent the crust from being very crunchy, as it makes everything softer. Our breads weren't those extra puffy, football-like rolls. They were just "medium" sized with slightly tapered ends. 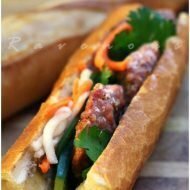 I know there's a rumor about Saigon style baguettes having some ratio of rice in the dough, but we never used that. So I can't comment much on that. That's all I know. Sorry for the long post! Good luck with your bread. Please do post your results when/if you decide to attempt making your own bread. I just discovered your blog. I love it! Nice pictures and so many recipes that I love and grew up with. How long is the mayo good for when refrigerated? Hi, I was wondering how long the mayo’s good for? Any time frame? Thanx, keep up the great posts. can this be made in a bigger batch and stored in the fridge for, say, a couple weeks? why canola or corn oil? would grapeseed oil or flaxseed oil work? 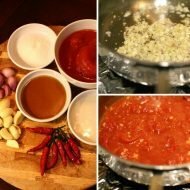 love sriracha – definitely going to try that! 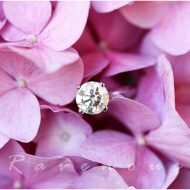 Just discovered you blog today, fully enjoyed it. 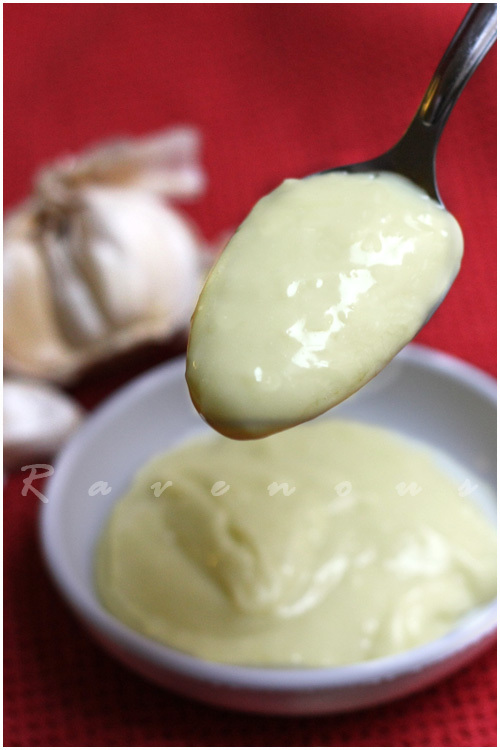 For the mayo, if you add some Dijon mustard ( it act as an imulsifier) it will not fail.